Elfin Patch: I might just need that sometime ! Now how many times have we said that? 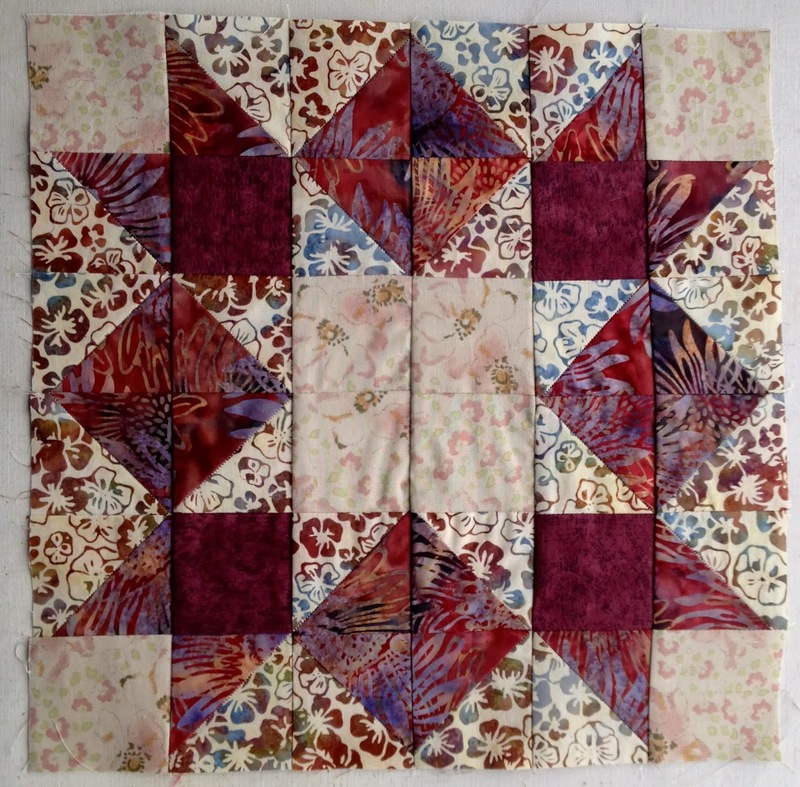 As quilters, we are all hoarders. Fabric scraps, orphan blocks, the list is endless and I am probably one of the worst. Well today it paid off. 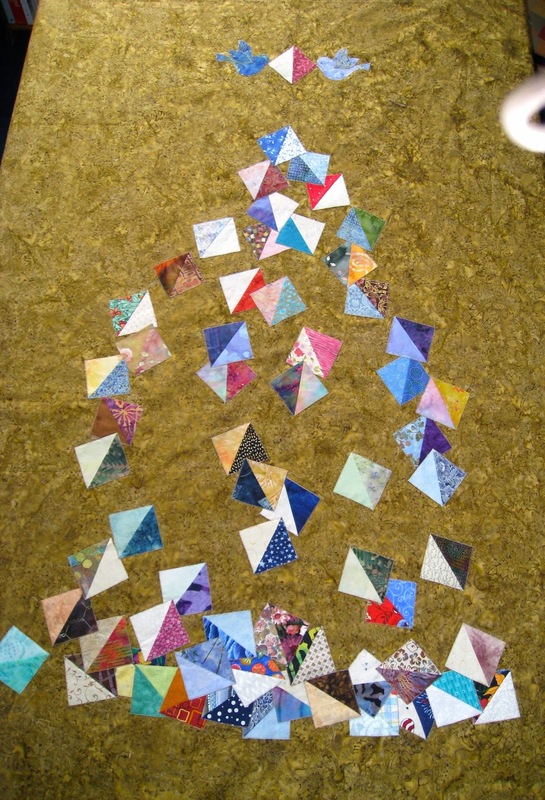 Quite a long time ago I was in a half square triangle swap with The Quilt Show, where you swapped HST's with other quilters all over the world. It was great fun and I made a lovely quilt with all the HST's I received. 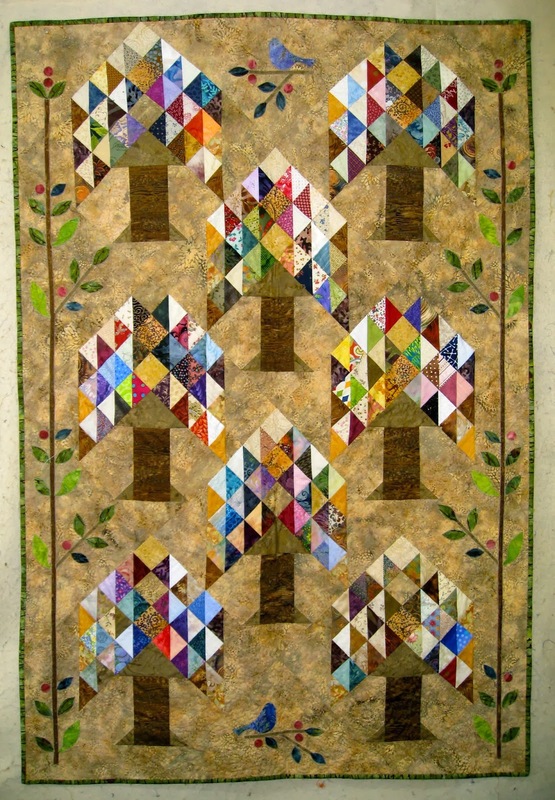 The pattern was by Edyta Sitar of Laundry Basket Quilts and I think it was called Tree of Life, which I thought very appropriate. This is the back(designed by me) two little birds bringing all the HST's from all over the world. Well I digress as usual, I was on a HST's roll and was going to make another quilt so I made a ton more, and then put them away in a tub, as you do,where they stayed till yesterday. 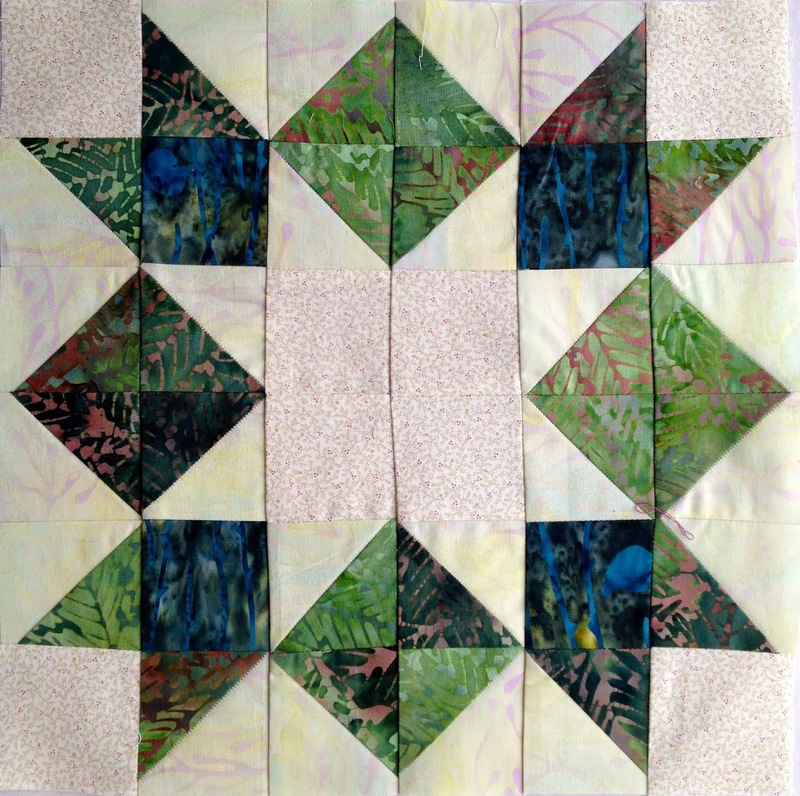 2 1/2" squares as well. All sorted and done in no time at all. This is actually to fess up to the other girls in my siblings group as to how I did them so quickly..
so keep hoarding girls, it's true you never know when you might need just that scrap etc..